Ever since humans began to farm, herd livestock, and pass on their assets to future generations, economic inequality has been a defining feature of civilization. Over thousands of years, only violent events have significantly lessened inequality. The 'Four Horsemen' of leveling-mass-mobilization warfare, transformative revolutions, state collapse, and catastrophic plagues-have repeatedly destroyed the fortunes of the rich. 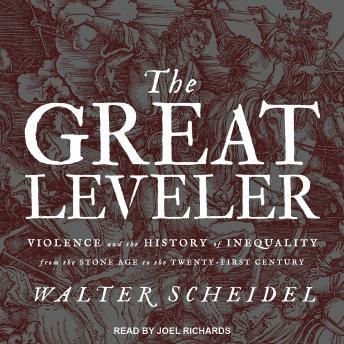 Scheidel identifies and examines these processes, from the crises of the earliest civilizations to the cataclysmic world wars and communist revolutions of the twentieth century. Today, the violence that reduced inequality in the past seems to have diminished, and that is a good thing. But it casts serious doubt on the prospects for a more equal future.